Chinese calligraphy is referred to as Shūfǎ (書法/书法). This means "the way/method/law of writing." 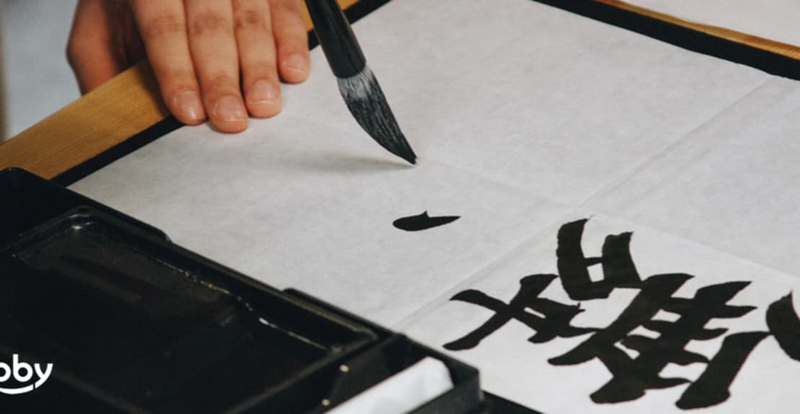 Chinese calligraphy is regarded highly as an artist in the countries where it is practised. It focuses not only on methods of writing and communication but also on cultivating a person's character. It is taught as a pursuit and one that is highly regarded as a skill and a focus level. The Gilgit scripts are the earliest notable form of calligraphy in India that dates back to the 5th and 6th centuries. From the 16th century onwards Sikhism played a key role in the history of Indian calligraphy. Sikhs have traditionally handwritten their holy book, the Guru Granth Sahib, and decorated it with illumination. Georgian calligraphy is steeped in tradition. Christianity has played an enormous role in Georgian literature since the Georgian Orthodox Church and the monks that were part of it contributed their entire lives to Georgian writing. They created manuscripts and all the historical records for the Georgian Nation. April 14th, every year, is the 'Day of Georgian Orthodox Church.' Calligraphy contests are held during this celebration in which the winners are awarded from the Georgian National Centre of Manuscripts. Calligraphy and writing is a huge part of the national culture. The development of Islamic calligraphy is heavily influenced by the Quran. This religious text often stressed the importance and significance of writing with the prophet Mohammed even quoted to have said 'The first thing God created was the pen.' In traditional Islamic calligraphy, the qalam is used. The qalam is a pen made of dried reed or bamboo.